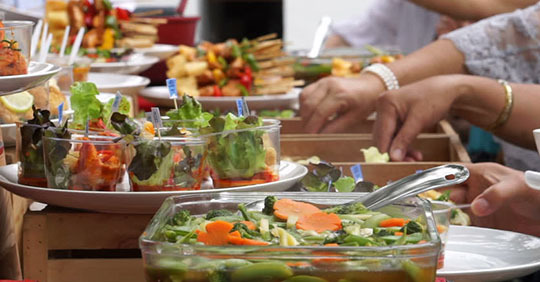 Arihant Catering services is one of the leading chain of multicuisine catering services in Lucknow city .It is amongst well established names and excel in providing diverse falovers, distinct recipes ,legendary Outdoor Catering Services. We use branded spices in all food items.Our complete work is fully transparent. We make food by professional chefs. We make delicious food with cleanliness.We make all food in branded refined oil. We use good quality disposable items. We believe in providing satisfactory service. We are regularly catering for big Corporate Houses,Various Government Organizations with flavours from across India.